About 8pm on 17 April, 1997 Constable Carty and other police had reason to speak to a number of people in the street at Fairfield while carrying out foot patrols. Some time later the constable and other police, then off duty, attended a local hotel, the Cambridge Tavern. About 2.10am as he was leaving the hotel Constable Carty was set upon by a number of offenders, including some of those he had spoken to earlier, and was stabbed to death. Senior Constable Michelle Auld, who had gone to his assistance, was also seriously assaulted in the cowardly attack. 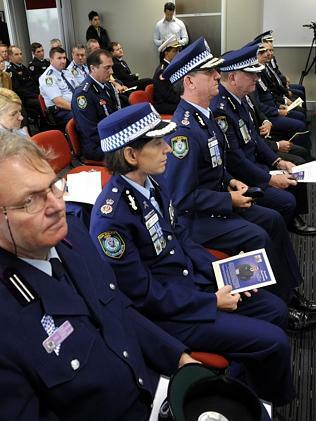 Both Constable Carty and Senior Constable Auld were awarded the Commissioner’s Valour Award. The constable was born in 1971 and was sworn in as a probationary constable in August, 1994. At the time of his death he was stationed at Fairfield. 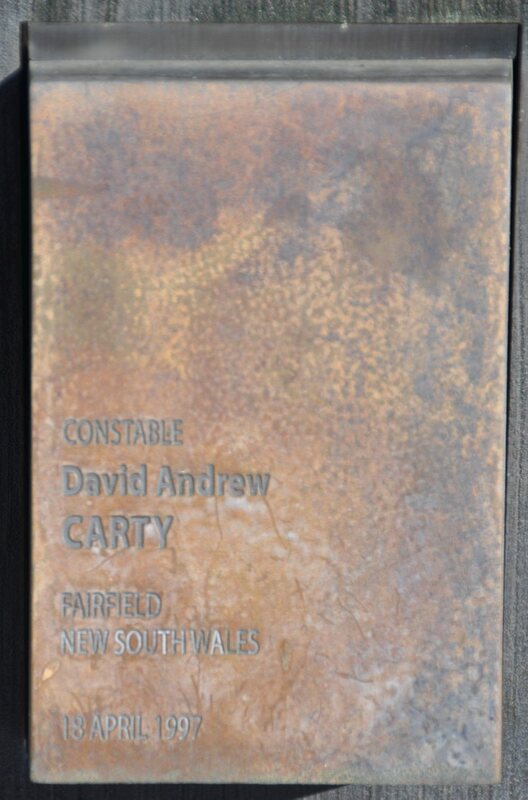 Constable David Andrew CARTY touch pad at the National Police Wall of Remembrance, Canberra. A small section of St John Of God, Richmond Hospital, where Police ( and others ) with PTSD have gone for Inpatient Treatment. Photo posted up on NSW Cops, Old, Bold & Retired FB Group on 28 May 2017. Constable David Carty is remembered as a respectable country man. THE pain of April 18 doesn’t get any easier for Fairfield police officers who recall Constable David Carty as a respectable country man. 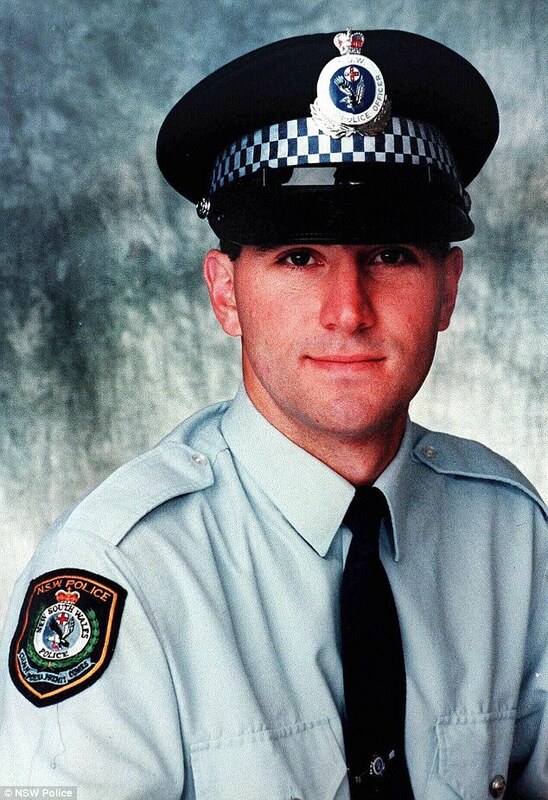 Const Carty (pictured) was remembered by police officers and former colleagues at Fairfield police station on Friday, the 17th anniversary of his brutal death. On April 18, 1997, Const Carty, 25, was stabbed in the Cambridge Tavern car park, after having a drink with colleagues after a late shift. Superintendent Peter Lennon said April 18 was one date he and his fellow officers would never forget. “He (Const Carty) came from the country and was well-respected by everyone,” he said. During the memorial service, a minute’s silence was held and wreaths were laid in memory of the young man. Supt Lennon said being in the police force meant brave men and women confronted dangers as they performed their duties. Fairfield police officers and former colleagues holding a memorial for the 15th anniversary of the death of Constable David Carty. April 19, 2012, 10:32 p.m. The David Carty Memorial set up at this week’s service in Sydney. 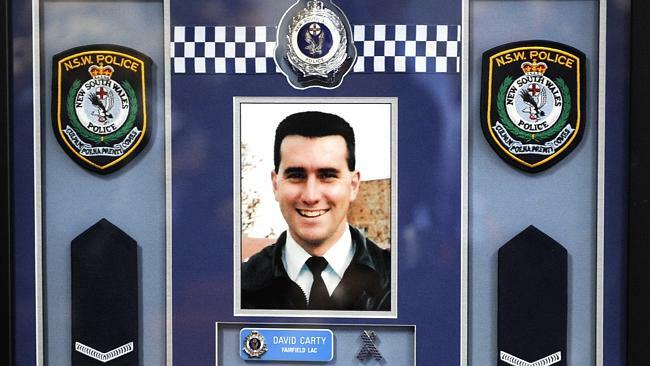 NSW Police Force held a memorial service on Wednesday to commemorate the life and service of former Parkes man Constable David Carty, who was slain 15 years ago. 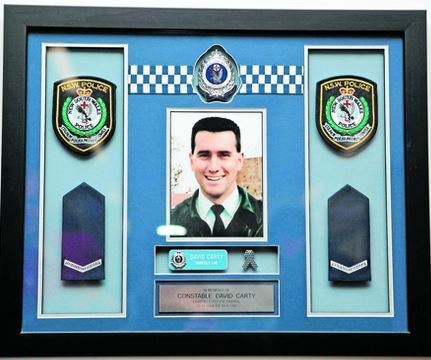 Const Carty was stabbed to death as he left licensed premises in the Sydney suburb of Fairfield in the early hours of Friday, April 18, 1997, after having a drink with colleagues following a late shift. At 10am on Wednesday April 18, 2012, colleagues and friends gathered at Fairfield Police Station for a memorial service, on the 15th anniversary of his death. 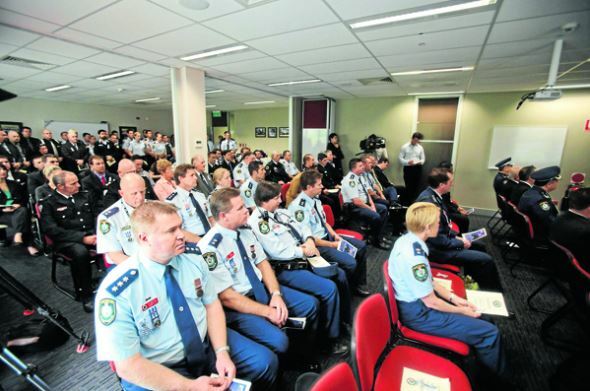 Minister for Police and Emergency Services, Michael Gallacher, NSW Police Commissioner Andrew Scipione, South West Metropolitan Region Commander, Assistant Commissioner Frank Mennilli, Fairfield Local Area Commander, Superintendent Peter Lennon, former colleagues, local police officers, local members of Parliament and members of the Fairfield community also attended. 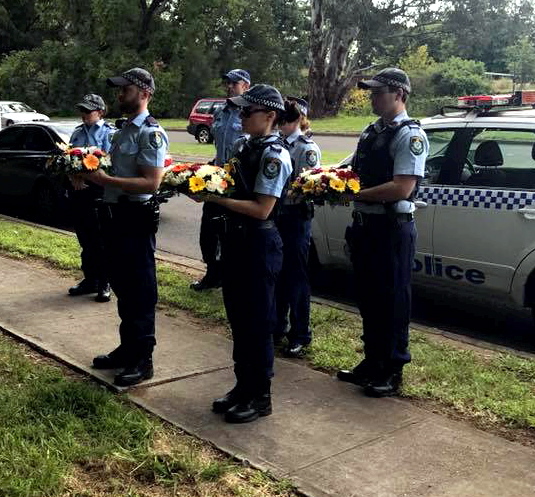 Minister for Police and Emergency Services, Michael Gallacher, and NSW Police Commissioner Andrew Scipione, pay their respects to slain local police officer, David Carty and Wednesday’s special memorial service in Sydney. Senior Catholic Police Chaplain, Father Paul O’Donoghue, led the blessing for serving police and emergency service officers. Constable Carty’s family also held a memorial service on the family property in Parkes where Lachlan Local Area Commander, Robert Ryan, and local police officers paid their respects. Supt Lennon said while it was painful to recall the circumstances of Constable Carty’s death, it was important for his memory to be honoured. “David was a young man with a great future, personally and professionally,” Supt Lennon said. “He had committed himself to protecting his community and paid the ultimate price. “Every day, officers confront dangers as they perform their duties, and the memory of a departed colleague reminds us that a safe community can come at a high price for officers and their families,” Supt Lennon said. Constable Carty joined the NSW Police Force on February 20, 1994, attesting as a Probationary Constable on August 19, 1994, and began working at Liverpool. 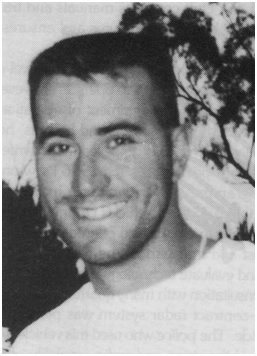 On November 20, 1994, he was transferred to Fairfield and confirmed to the rank of Constable on August 19, 1995. Before joining the NSW Police, David Carty worked on the family farm and showed as much dedication and independence there as he did as a Constable. “Constable Carty’s relatively short experience in the NSW Police Force showed him to be an exemplary police officer,” Supt Lennon said. 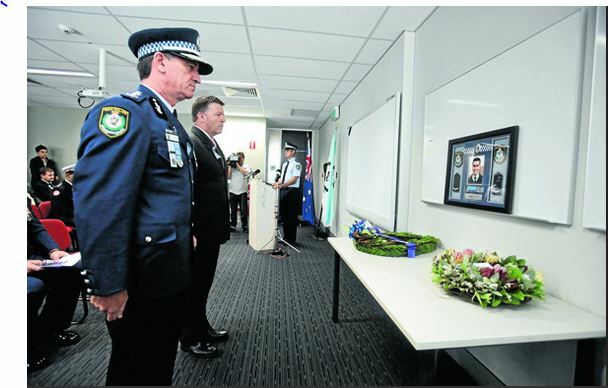 Mr GUY ZANGARI (Fairfield) [12.11 p.m.]: On 18 April 2012 Fairfield police station held a 15-year memorial service for the late Constable David Carty. 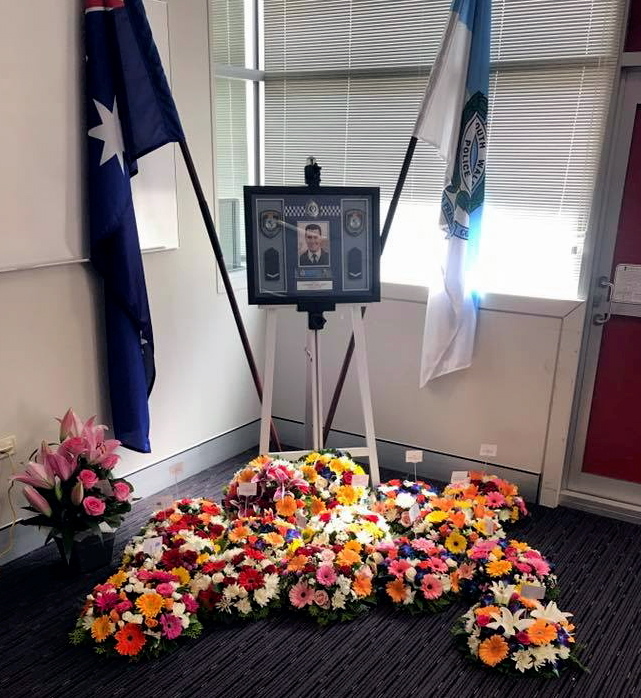 The memorial was to be held at David Carty Reserve but due to the torrential rain it was held at Fairfield police station. Besides the Fairfield memorial, a memorial was held also at the Carty family property in Parkes where Lachlan Local Area Commander Robert Ryan and local police officers paid their respects, together with the Carty family. 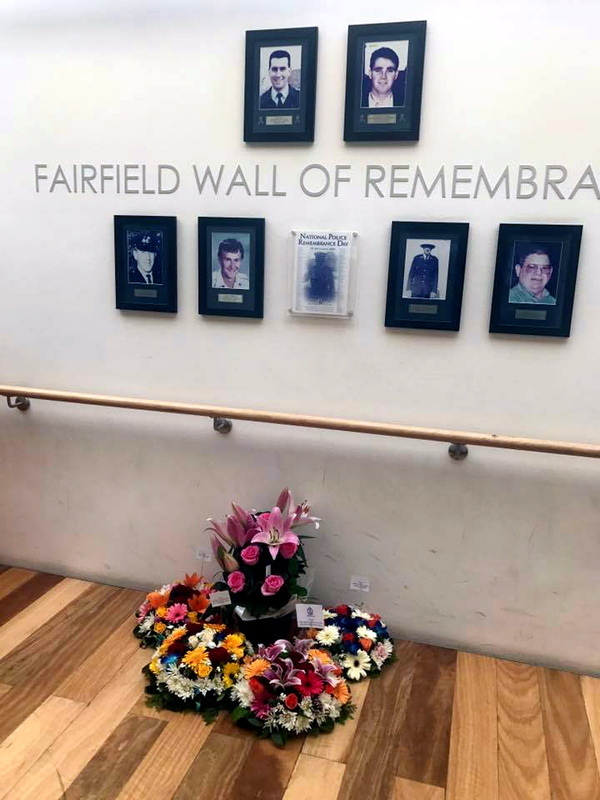 The memorial at Fairfield was attended by the police commissioner, assistant commissioners, police Minister and local and State government representatives. Local fire, ambulance and State Emergency Service representatives paid their respects on this solemn occasion. Also present were the emergency response officers who, in the words of Superintendent Peter Lennon, moved heaven and earth to save this officer’s life. Inspector Brendan McMahon was the official master of ceremonies, with Commissioner Andrew Scipione offering kind and comforting words to the entire community. 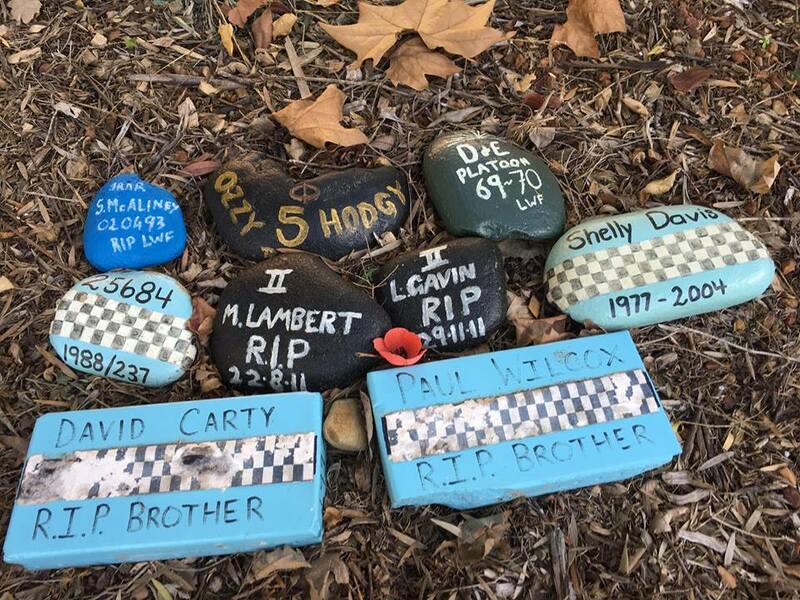 Superintendent Peter Lennon brought home the message of the loss to the community of David Carty and how to this day, so many years later, people in Fairfield still feel the pain. Father Paul O’Donoghue offered blessings and prayers to the gathering. Following the prayers a wreath-laying ceremony took place. It was at that point that emotion set in and not a dry eye could be seen in the gathering. Many of those who were present did not know David but they had grieved his loss for years. I recall that David’s death in 1997 was a shock to the entire community. So brutal was his death that churches around Fairfield held masses and services in his memory. At that time I was teaching at Patrician Brothers College, Fairfield, and I remember witnessing the grief that beset the community. Students and teachers held prayer services following David’s death. Sitting at the memorial service gave me the empty feeling that Fairfield experienced in 1997. I can only imagine what it was like for David’s work colleagues and especially for his family. David Carty was a country boy who came to Sydney to fulfil his dream of becoming a police officer. He joined the NSW Police Force on 20 February 1994, was sworn in as a probationary constable in August 1994 and began working at Liverpool. On 20 November 1994 Constable Carty was transferred to Fairfield and quickly established himself in the Fairfield Local Area Command and in the community as a hardworking police officer. On 17 April 1997, whilst on a daily foot patrol, David and other police officers had reason to speak to a number of people on a local Fairfield street. Later that evening, whilst off duty, Constable Carty and his colleagues attended the Cambridge Tavern. At about 2.10 a.m., as he was leaving the tavern, David was set upon by a number of offenders, including some of those he had spoken to earlier that day. Constable David Carty was stabbed to death by his attackers. Senior Constable Michelle Auld also was seriously assaulted whilst giving David assistance. Early that morning a piece of Fairfield was taken away. We will never forget David Carty. As a community we keep his memory alive by having a reserve named in his honour—the David Carty Reserve. There are plans in the Fairfield community to include a memorial garden in the reserve, to create a place where the community can offer prayers and thanks to the late Constable David Carty and reflect on the many sacrifices that he ultimately made as a result of his vocation as a police officer. David was never given a chance to marry, to have children and to experience what so many of us take for granted. What we as legislators can do is to ensure that our police are given the powers and support they need not only to keep the community safe but also to keep uniformed officers safe in the line of duty. 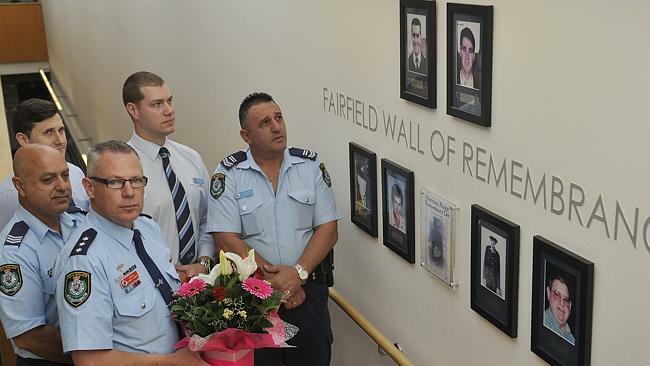 Constable David Carty will never be forgotten by Fairfield. Mr DONALD PAGE (Ballina—Minister for Local Government, and Minister for the North Coast) [12.15 p.m.]: I take this opportunity to thank the member for Fairfield for reminding us of the terrible murder of David Carty. I am sure that all members and the people of New South Wales remember the despicable murder that took place late at night in a car park outside licensed premises when David Carty was off duty. David Carty’s father, John Carty, is a constituent of the member for Dubbo who is in the Chamber. 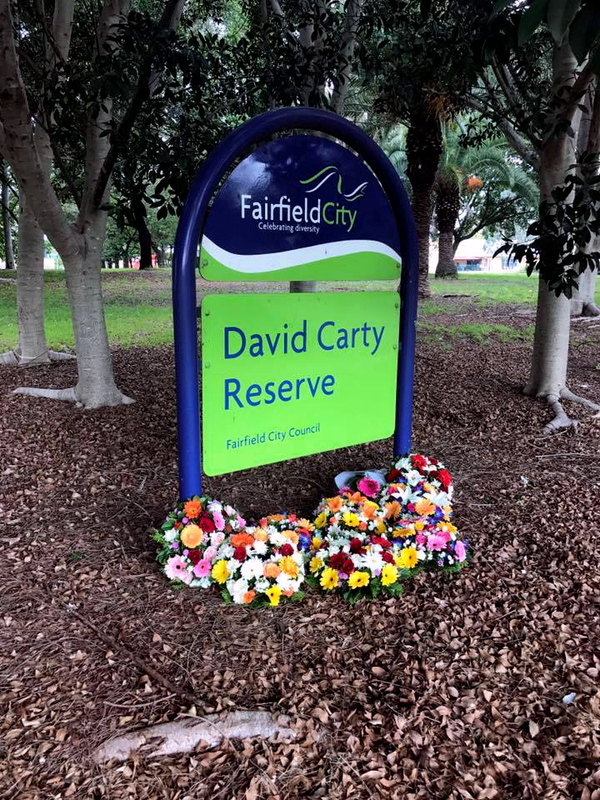 I was interested to hear the member for Fairfield mention the David Carty memorial that is to be established in the Fairfield reserve—a nice tribute to a man whose life was cut short by a most heinous crime. I was in Castlereagh St Sydney the night you were killed. I knew something terrible had happened as the sound of sirens filled the air like I’ve never heard before. For all it’s worth, I’ve never forgotten what happened to you and think of you often. Thinking of Carts today. It’s been 16 years but he hasn’t been forgotten. A good cop and a great mate. The saddest part of my career was working your murder, Carts. But we got ’em, mate. We got ’em for you.